A mix of hay and wet distillers grains stored in a bunker. Photo courtesy of Troy Walz. If producers want to mix and store poor quality roughage and by-products in preparation for drought conditions, then the moisture content of the mixture and packing to remove oxygen pockets become important. 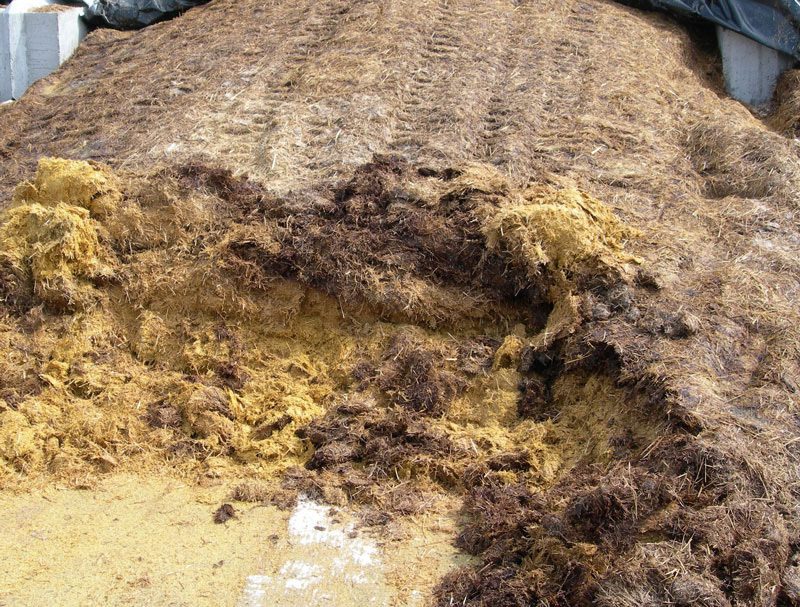 Information on mixing, storing, and feeding on pasture can be accessed in the NebGuide G2099 Crop Residues or Low Quality Hay Combined with Byproducts as a Forage Substitute.